The Copywriting Apprentice is a distance learning copywriting course delivering professional training to would-be copywriters. In this interview guest presenter Tim Lyon speaks to Joy McCarthy, the Copywriting Apprentice course director, and former student, Debbie Thomas of Grangewood Copywriting. This interview was broadcast live on Radio Horton 19th September 2013. Find out what they had to say by playing the podcast now. Debbie completed her copywriting training early 2103. Find out how it has helped increase her skills, knowledge and confidence, and prepared her to launch her freelance copywriting career. Here is a small snippet of the interview with Debbie. Interesting insight into the copywriting apprentice course with former student Debbie Thomas now of Grangewood Copywriting. Joy McCarthy & Debbie Thomas talk about the Copywriting Apprentice course. Listen to the FULL interview. It really is an insightful conversation and hugely popular podcast. Debbie Thomas is a North Wales-based trained copywriter and proofreader. She works for a range of clients in different industries. As a former HR and training professional, she also provides specialist copywriting for the human resources sector. 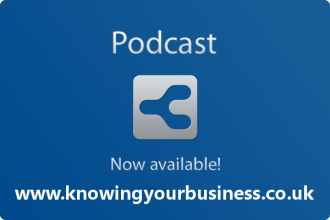 This Knowing your business show is presented by Ian Gentles and guest presenter Tim Lyon. Tim Lyon – Presenter, public speaker, inspirational trainer helping businesses to win through excellent presentations and pitches. It’s great listening to your podcast. I’m actually seeking opportunity avail to horn my skills in Copywriting and Creative marketing communications writing. Kindly support me with further details.